A strange looking picture has emerged from Loch Ness this week. 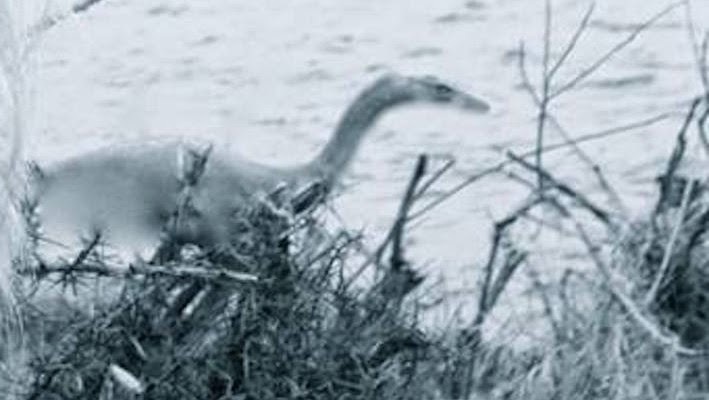 Taken by author Geoffrey McSkimming from Australia, it appears to show something in the loch as he took a picture of his companion, Sue-Anne Webster. The trouble is he was not aware of anything at the time which adds to the mystery. Assuming the picture is not a product of the proverbial photoshop, the object does appear to be part of the scene as vegetation obscure part of its form. However, from a Loch Ness Monster point of view, what might be interpreted as the head is very elongated compared to classic eyewitness descriptions. 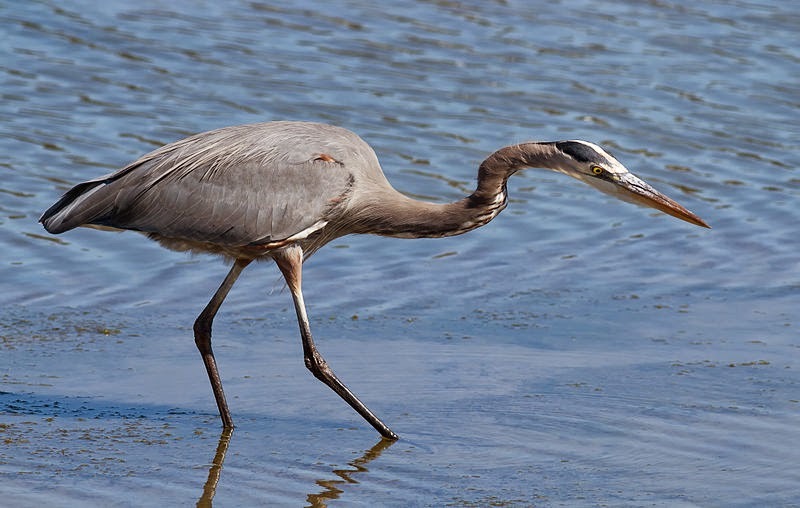 In fact, it look more like one of the herons occasionally seen at the loch, though even that does not look entirely a perfect fit as the "beak" looks decidely blunt. I certainly do not think it is a defect in the image. 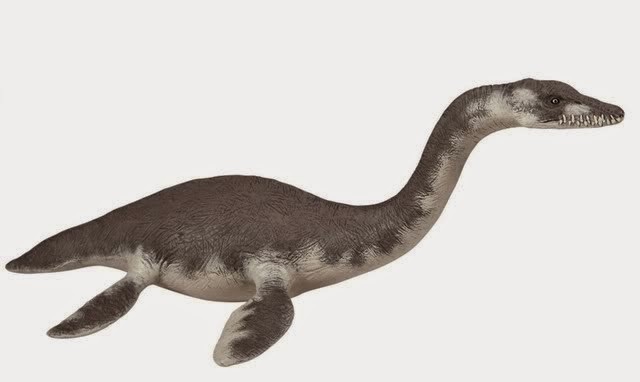 If it is a photoshop job, Jens emailed me to suggest it is a PAPO Plesisosaur model. Okay, perhaps but needs a bit of stretching and editing! You can see the modern issue with coming up with a picture of the Loch Ness Monster that can evade the trap of digital image editing. A recent post on the Zombie Plesiosaur page got me thinking about Ted Holiday's changing views on the Loch Ness Monster. He went from promoting the view that the creature was a large relation of an extinct invertebrate to something he classed as part of the Phantom Menagerie. What was not clear was how that transition panned out. Holiday wrote three books which charted this change of mind. The Great Orm of Loch Ness from 1968 firmly puts him in the giant worm camp as he expounded on his mega-variation of the small but extinct creature called Tullimonstrum Gregarium. Its discoverer, Francis Tully, is shown below with a fossil to give you an idea of its size. One or two interesting ideas came out of this theory, such as Holiday's idea that the Loch Ness Monster did not rely on fish as its staple food, but rather sifted through the sludge/mud/silt at the bottom as a source of nutrition. Whether this is a viable means of food for a number of large creatures is not known to me. Nutrient levels in lochs can be quite high, though whether they provide a balanced diet for a healthy monster is debatable. Indeed, whilst there is talk of diminishing fish supplies in Loch Ness over the decades, a sludge processing monster may have seen an increase in food supply as human activity around the loch increased the amount of human and food waste nutrients being dumped into Loch Ness. There are four main sewage treatments plants around Loch Ness and this is not the type of information you will tend to find in Loch Ness literature, so read on! Not surprisingly, they are centred on the four main population centres at Fort Augustus, Foyers, Drumnadrochit and Dores. So there is a sewage processing plant outside Fort Augustus, located on the opposite side of the River Tarff to the old Abbey building. I can tell you from personal experience that you tend to smell it before you see it and it would not be the first place on your bucket list. I have occasionally gone between it and the river to get to Borlum Bay and I have yet to see anyone moving around the place. There will be smaller processing plants such as the controversial one which was dumping semi processed human waste at the Visitor Centre at Urquhart Castle some years back. Loch Ness researcher, Tony Harmsworth, protested against it in years past. Overall, I would guess that at least 1000 cubic metres of processed effluent water is pumped into the loch every day. Do these extra potential chemicals such as nitrogen and potassium do anything for a sludge sifting monster? Actually, though human activity has increased over the decades, with the attendant increase in waste, the efficiency of processing that waste has improved over the same time (though not in a smooth curve). So, whether extra nutrients have made it into the loch would require someone comparing water samples over the decades. That prompted a side thought. Loch Ness is an oligotrophic lake being low in nutrients and high in oxygen content. If more effluence is pumped into the loch, then a process of eutrophication begins where the lowest forms of organism feed on this bonanza with the attendant knock on effects for further up the food chain and to more Loch Ness Monsters. One negative side effect is that the increase in the biomass can lead to oxygen levels depleting and some animals suffering asphyxiation. Well, it was a mere gedankenexperiment, but Nessie has been reported for centuries, so it does not seem to matter how much of the smelly stuff ends up in Loch Ness. But, Ted viewed sludge filtering as a viable proposition and cast doubt on any eyewitness accounts about feeding on fish. Now, if there is one thing that should be avoided, it is changing the data to fit the theory. Of course, individual cases can be disputed, but to consign a whole class of sightings to the bin because they don't fit your theory is more in keeping with the tactics of a sceptic. But, on reflection, Ted did have a point as I cannot recall an eyewitness report where the Loch Ness Monster is seen eating a fish. We have reports, such as the recently posted article on John MacLean, where the creature is observed to be moving its head and neck in a way that suggests eating whilst in an area known for higher fish numbers. But, then again, John MacLean does not mention seeing any fish in the act of being consumed. It is a matter of inference when fish are seen to jump about and the monster is seen to act in an energetic way about them. So, perhaps not so much a case of changing the data but re-examining that particular aspect of the sightings database. Five years later, Ted Holiday was gravitating in the direction of the paranormal in his second book, The Dragon and the Disc. When he actually began to have second thoughts is not clear, but the odd, quirky things he thought were happening at Loch Ness were the catalyst. So, where did his Tullimonstrum Gregarium fit into this new scheme? In his chapter, "What is a Dragon? ", he reminds readers that he proposed a gigantic form of the Tullimonstrum in his previous book. He then says "my views on this have changed only in minor details". So, paranormal happenings come in but it remains a very biological creature. Curiously, he likens the creature in the Lachlan Stuart photograph to a multi humped creature drawn on a prehistoric mound called the Knowth disc barrow in County Meath, Ireland. The disc barrow is said to be shaped in the same manner as the archetypal flying saucer and this gives you an idea of how Holiday attempted to synthesise these two "cults" into one recurring theme. Proceed with great caution in your Loch Ness work. We are caught up in a series of games which must be played by 'their' rules. Anyone who tries to invent his own rules, or break the basic patterns, soon loses his mind or even his life. Six years later, Ted Holiday was dead at the premature age of 59. The cause was natural enough being a heart attack but one can't help wondering if Holiday believed his days were numbered, having had a smaller heart attack the year before. 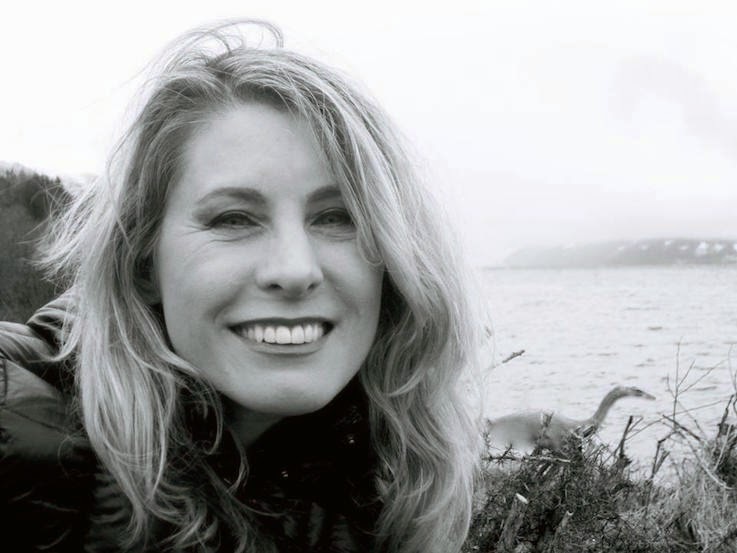 Do Loch Ness researchers live shorter lives or only those who are engaged in work too "close" to the truth? What about those like myself who seek biological explanations or those who simply seek to dismiss the whole thing as hysteria? I would not have thought cryptozoologists live short lives. 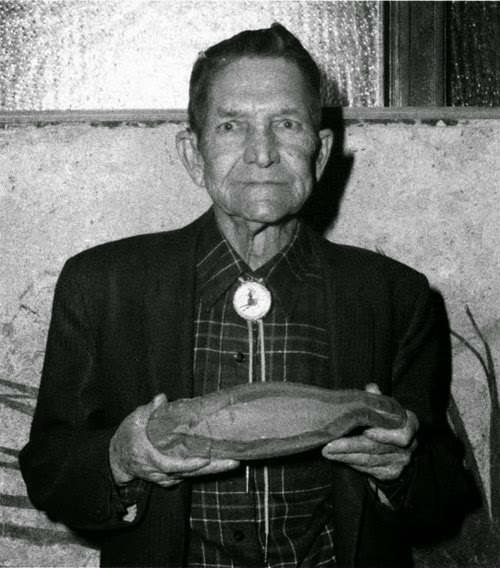 Roy Mackal lived to 84 years and I can think of others who are or were similarly aged (such as Loch Ness paranormalist, Winifred Cary). Indeed, John Keel himself lived for 79 years. Doubtless, there are those who died prematurely, but nothing to suggest anything beyond the norm. The conclusion is that Ted Holiday was just unlucky in the number of years allotted to him. Did any lose their minds, as Keel suggested? That is a bit harder to determine and no doubt some will readily and cynically suggest anyone who is not a sceptic has lost some or all of their mind. But, I am not aware of any who became clinically and mentally ill (though statistically there must be some). But moving on, by the time he wrote the manuscript in the late 70s for his third work, "The Goblin Universe", the change was complete. In Appendix A, he tells us that the question of whether these phantom creatures are biological or not is one of the big mysteries of our time. He then states he believes they are not biological. So there you have it, the transition is completed in the third and final book (which was published posthumously by Colin Wilson in 1986). But was that the end of the transition? In Colin Wilson's introduction to "The Goblin Universe", he tells us that Holiday sent the transcript to him in 1977. Wilson enthusiastically wrote to him and told him he would recommend it to his publisher. However, no reply was forthcoming for months. Then Holiday unexpectedly wrote to Wilson saying he was dissatisfied with the book, was scrapping it and was writing a new one. Wilson obtained the transcript of the fourth book after Holiday's death and was disappointed to find it was a more generic book on lake monsters lacking the "daring range and sweep" of the Goblin book. Having compared his own paranormal research to that of Holiday, Colin Wilson concluded that Holiday had not abandoned his belief in a paranormal Loch Ness Monster, but rather he had abandoned his objective to find and "present an unanswerable case for the Goblin Universe". For that reason, he gave up on the book. Sadly, both men are now dead and the whereabouts of Holiday's fourth and final book is unknown. We all go through changes of opinion in our lives. Most since the 1980s have been to the sceptical side. Holiday's change was by no means unique in his day as there was a noticeable shift to a paranormal paradigm from the late 1960s into the early 1980s across various phenomena. His was not a change, though, that was borne out of jumping on a bandwagon. He genuinely believed he had experienced things at Loch Ness that went beyond the mere biological or coincidental. Since his death, no one has seriously taken up that particular mantle and I think Loch Ness research is that little bit poorer for its absence and, come to think if it, his absence.